In them Hiram Abif appears both as an authentic and a mystical personage, he is not only the cunning craftsman employed by King Solomon to beautify and adorn the actual temple, but also an emblematic being, representing the sun, who, by his magnetic power, raises the Royal Arch of heaven, and beautifies and adorns the terrestrial and celestial spheres, for which reason his name has a twofold meaning, significant of both characters. 1. The mystical Hiram is represented in the masonic tradition as being an architect, superintending the building and drawing out the plans for the temple. The real Hiram, as mention in history, was, according to the Bible, and also Josephus, no architect at all, and drew out none of the designs for the temple. 2. The mystical Hiram, according to masonic tradition, is represented as having lost his life suddenly before the completion of the temple, in the midst of his labors, and with many of his designs unfinished. On the contrary, the historical Hiram, as we are expressly informed in the sacred Scriptures, lived to finish all his labors in and about the temple, and for King Solomon. from labor to refreshment, to inspect the progress of the work, to draw fresh designs upon the tracing-board, if such were necessary, and to perform other scientific labors, not forgetting to consecrate his duties by solemn prayer. These religious customs were faithfully performed for the first six years in the secret recesses of his lodge, and for the last year in the precincts of the most holy place. At length, on the very day appointed for celebrating the cap-stone of the building, he retired as usual, according to our tradition, at the hour of high twelve, and did not return alive. Some further particulars of the masonic legend are given in the same book, under the article "Burial-Place." "The burial-place," says Dr. Oliver, of a master mason, is under the Holy of Holies, with the following legend delineated on the monument: A virgin weeping over a broken column, with a book open before her. In her right hand a sprig of cassia, in her left an urn. Time standing behind her with his hands enfolded in the ringlets of her hair. The weeping virgin denotes the unfinished state of the temple; the broken column, that one of the principal supporters of masonry (H. A. B.) had fallen; the open book implies that his memory is recorded in every mason's heart; the sprig of cassia refers to the discovery of his remains; and the urn shows that his ashes have been carefully collected; and Time, standing behind her, implies that time, patients, and perseverance will accomplish all things. The legend of his death it will be unnecessary to repeat, but there are some circumstances connected with it which may be interesting. His illustrious consort, whose memory is dear to every true mason, was so sincerely attached to him that, at his death, she became inconsolable, and, refusing to be comforted, she spent the greater part of her time in lamentation and mourning over the tomb which contained his venerated ashes. The monument erected to his memory was particularly splendid, having been curiously constructed of black and white marble, from plans furnished by the Grand Warden, on the purest masonic principles, and occupied an honorable situation in the private garden belonging to the royal palace. The foregoing authorized publication of the main facts of the masonic legend respecting the death of Hiram Abiff, contains all the particulars necessary for the illustration of our subject to unmasonic readers. To members of the fraternity, all the details of the tragic tradition are of course familiar, and many things designedly made obscure to all others will be clear to them. The masonic tradition respecting Hiram, it will thus be seen, speaks of him as being the chief architect of the temple, superintending the workmen and drawing out designs for the construction of the temple. The historical Hiram, mentioned in the Bible and by Jose-phus, is a different personage from the traditional one. That Hiram, who was actually sent to King Solomon, had nothing to do with furnishing the designs of the temple. We are expressly informed that the designs, form, and dimensions of the temple were all given by divine command (2 Chronicles 3). To have altered or modified them in the smallest particular would therefore have been a sin, which would have called down the instant and terrible displeasure and punishment of Jehovah. Hiram is nowhere mentioned or described in the Bible as being an architect, or even a builder. In 1 Kings 7:14, he is described as being "filled with wisdom, and understanding and cunning to work all works in brass!" In 2 Chronicles 2:14, the father of Hiram is described as skillful to work in gold, and in silver, in brass, in iron, in stone, and in timber, in purple, in blue, and in fine linen, and in crimson; also to grave any manner of graving. This man was skillful in all sorts of work, but his chief skill lay in working in gold, silver and brass, by whom were made all the mechanical works about the temple, according to the will of Solomon. The two pillars of brass, called fachin and Boaz, together with their ornaments. The molten sea of brass, with twelve oxen under it; a work of great artistic beauty, but calling for the genius of a Benve-nuto Cellini, rather than of a Sir Christopher Wren. Also, ten brazen lavers and their bases, and many pots, shovels, flesh-hooks, and other altar-furniture, to be used in and about the sacrifices. As the distance in an airline from Jerusalem to Succoth was at least fifty miles, it is to be presumed that the distance by the traveled route was considerably more. It may be said that the clay only was procured at this distant place (distant when we consider the slow means of travel in those days), and that it was brought to Jerusalem, to be there used by the artist in making the molds for his castings. But the sacred text expressly says that the casting was done on the spot. The scene of the labors of Hiram must, therefore, have been considerably over fifty miles from Jerusalem, or more than two days' journey, at the smallest calculation; twenty miles being an ordinary day's journey in those times and that country. Smith, in his Bible Dictionary says fifteen. Besides this, the making of the molds and patterns for them would require the personal attention if not labor of Hiram himself. The casting of large pieces, such as were required for the brazen sea, the lavers and their bases, and the pillars Jachin and Boaz, which were eighteen cubits, or about thirty-two feet in height, must have demanded his constant care and watchful attention, (see Cellini's account of the casting of his bronze Perseus, "Memoirs," vol. ii, c. xli.) These facts, taken in connection with the great number of different pieces of work, render it evident that Hiram must have been kept the greater part of his time at the distant scene of his labors, where the clay required could alone be found. It is impossible, under the circumstances, that he could have visited the temple in Jerusalem, from fifty to sixty miles distant, three times a day, or even once a day, during the seven years that the temple was being built. Besides these works in brass, we are told that Hiram made for Solomon of pure gold ten candlesticks for the oracle, with flowers, lamps, and tongs; also bowls, snuffers, basins, and censors, and hinges of gold, for the holy place and for the doors of the temple. All this work, it will be seen, is that of a "cunning worker in metals" and a decorative artist, none of it that of an architect or builder. The other decorative works done in and on the temple proper, consisting of carvings on the walls of figures of cherubim and palm-trees, also the golden cherubim which were set up in the holy place, are not any of them including in the list of the works of Hiram, nor, indeed, named in the same chapter. "So Hiram made an end of doing all the work that he had made King Solomon for the house of the Lord." After the temple was finished we are told that Solomon built him a house for himself, which was, like the temple, splendidly ornamented by decorations and carvings in gold, silver, and wood. Mention is also made in Chronicles of a magnificent ivory throne, surrounded by carved figures or statutes of lions. The building and ornamentation of this house occupied thirteen years after the temple was finished (1 Kings 7:1). Now if Hiram was also employed by the king to decorate his own house, he must have lived at least thirteen years after the completion of the temple. That Hiram was also employed about the "kings house" is almost a certainty; for, although the list of his works, as given, makes no mention of the ivory throne, the lions, or any work done for the "king's house," yet as that list professes to be a list only of the work done by Hiram for the temple (see verse 40, also 2 Chronicles 4:11), we have no right to expect to find it including any of the other work of the artist done for the place of Solomon. The fourteenth verse of the seventh chapter of 1 Kings directly says that Hiram "wrought all of King Solomon's work." Besides this, the seven years occupied in building the temple and the thirteen in building the king's house make up the whole twenty years of the contract which Solomon had with the King of Tyre for materials and skilled workmen, the principal among whom was Hiram, the great artist and sculptor; and it becomes an almost conclusive presumption that Solomon kept him and the other skilled workmen the whole twenty years during which he required their aid. As to the nature of this contract of King Solomon's with Hiram, King of Tyre, see 1 Kings 5; 2 Chronicles 2; as to its duration being twenty years, see 1 Kings 9:10; and Josephus on both points. The proof is therefore positive that Hiram lived to finish all his labors in and about the temple, and also highly presumptive that he continued his labors for King Solomon thirteen years afterward. It is also just as clearly proved by history, both sacred and profane, that he the chief architect of, and furnished no designs for, the temple. According to holy writ, the designs for the temple were not only furnished by God himself, but the whole work was directed by the inspiration of the great Architect of the universe. If, then, the historical Hiram was no architect, but a decorative artist and sculptor only, and was not called upon to suffer a sudden death before the completion of the temple, it follows, therefore, that it is the mystical Hiram— representing the sun—who meets with that sad fate under the completion of the emblematic temple, and not the real one. The claim that the masonic tradition is historically true in all respects cannot be maintained, as it is in most of its main features in direct conflict with holy writ. If, however, we consider it in its allegorical character, as our ancient brethren no doubt did, if we regard it in its twofold nature, as being in part emblematic as well as historical, as before explained, all difficulties at once vanish. The entire integrity of the masonic tradition is thus fully maintained. The whole legend not only becomes the venerated depository of the most sublime astronomical facts, but is illuminated by a twofold beauty and truth. The answer to the last question has of necessity been a somewhat lengthy one. Having disposed of it, let us renew our explanation of the astronomical allegories of the masonic tradition where we left off. Q. Explain more fully in what manner the sun is said by an astronomical allegory to be slain. A. According to all the ancient astronomical legends, the sun is said to be slain by the three autumnal months—September, October, and November, represented as assaulting him in succession. Q. When is the sun said to be slain? A. Near the completion of the temple, as before explained. Q. Explain more fully by whom, and how the sun is said to be slain. called in the poetical language of the old Greeks, because at that point the sun has reached his lowest southern declination. The summer sun, glowing with light and heat as he reaches the autumnal equinox, enters Libra on the 21st of September. All through that month, and until the 21st of October, he declines in light and heat, but emerges from Libra (£) without any serious harm from the attack of September. The assault of October is far more serious; and the sun when he leaves the venomous sign of the Scorpion (AO, on the 21st of November, is deprived of the greater part of his power and shorn of more than half his glory. He continues his way toward the southern tropic, and in November encounters the deadly dart of Sagittarius (>? ), which proves fatal; for when the sun leaves the third autumnal sign, on the 23rd of December, he lies dead at the winter solstice. Q. Why is the third attack, or that the November, said to be more fatal than that of September or October? A. Because when the sun emerges from under the dominion of Sagittarius, the ruling sign of November, on the 23rd of December, he enters Capricorn, and reaches his lowest declination. That is the shortest day of the year. In June, at the summer solstice, the bright and glorious days were over fifteen hours long. Now the pale sun rises above the gloomy horizon of December but a little more than half as long, and his feeble rays can hardly penetrate the dark and stormy clouds that obscure the sky. The sun now seems to be quite overcome by "the sharpness of the winter of death." Amid the universal mortality that reigns in the vegetable kingdom, the sun, deprived of light, heat, and power, appears dead also. Q. 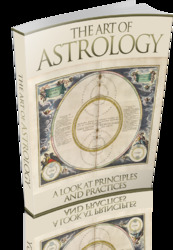 Does the ancient art of astrology throw any further light upon this subject? A. This science was much cultivated by the ancients under the name of the "divine art." 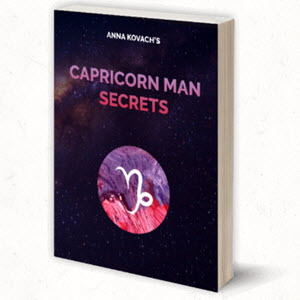 According to the teachings of astrology, Capricorn was the "house of Saturn," the most evil and wicked in his influence of all the planets. He is called the "great infortune," and all that part of the zodiac within the signs of Capricornus and Aquarius was under his dominion. Saturn was also known as Kronos, or Time, which destroys all things; and, in the poetical and allegorical language of mythology, devours even his own children. The figure of Saturn with his scythe is to this day an emblem of decay and death. The sun, therefore, when he entered Capricorn, passed into the house and under the dominion of Saturn, or Death. Q. After the sun is slain, what in allegorical language, is said to become of the body? A. It is carried a westerly course, at night, by the three wintry signs. A. Because, as the sun continues his course in the zodiac, he appears to be carried west by the wintry signs. This seems to be done at night, because the sun then being invisible, his change of position is only discovered by the stars which precede his rise at daybreak. Q. What disposition is finally made of the body? A. As it seemingly buried beneath the withered fruits and flowers—the "rubbish" of the dead vegetation of summer—in the midst of which, however, yet blooms the hardy evergreen, emblematic of the vernal equinox, giving a sure token that the sun will yet arise from the cold embrace of winter and regain all his former power and glory. A. According to the Egyptian sacred legend of the death of OSIRIS, the goddess Isis ransacks the whole four quarters of the earth in search of his body, which she finally discovers indirectly by the aid of a certain plant or shrub, and causes it to be regularly buried, with sacred rites and great honor. According to the legend of Hiram, it was twelve fellow-crafts—emblematically representing the three eastern, three western, three norther, and three southern signs of the zodiac—who made the search of the body. It was somewhere among the twelve constellations that the lost sun was certainly to be found. Q. By whom was the body found? A. By Aries one of the three western signs, typical of those who pursued a westerly course. In going from the winter solstice to the vernal equinox, we of necessity pass Aquarius (££), the Waterman, who was also known as a fisherman and a seafaring man. Q. Where was the body found? A. At the vernal equinox, typical of the "brown of a hill." As we pass from the winter solstice in Capricorn to the vernal equinox, we are constantly climbing upward; this point is therefore emblematic of the brow of a hill, and there also blooms the evergreen, typical of the approaching spring and return of nature to life.